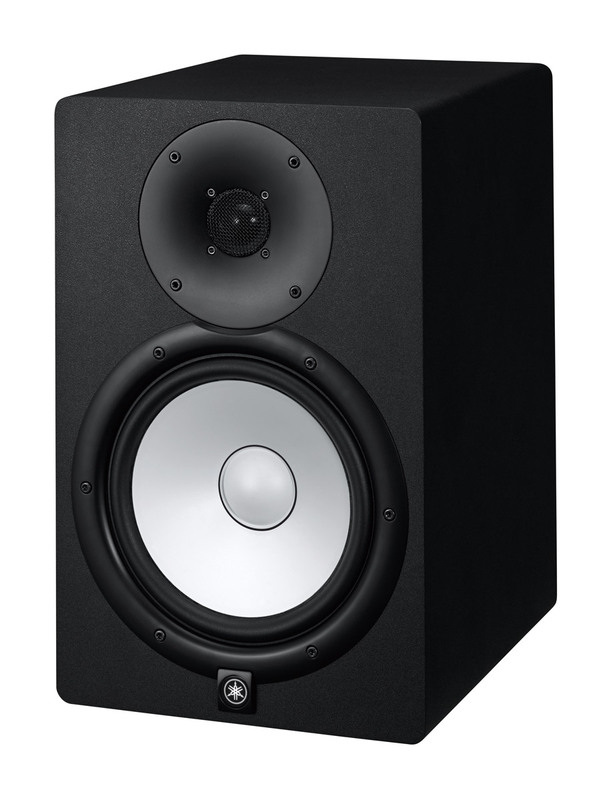 Named HS5, HS7 and HS8, these new Yamaha monitors will replace the HS50M and HS80M from which they retain the very distinctive white woofer ; note that a new intermediary 6.5" model has been added along with a 150W subwoofer called HS8S. Each HS active monitor are bass-reflex two-way bi-amplified models equipped with a 1" tweeter and Room Control and High Trim controls. The HS8S subwoofer features high and low-pass filters and a phase switch. New on all the monitors, the shielding has disappeared, Yamaha explains that this increases the magnet efficiency. 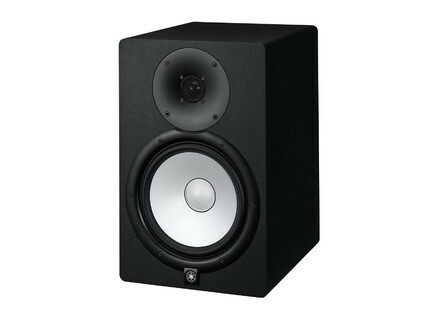 HS5: 5" woofer, 70W (45+25) of power, frequency response from 55Hz to 28kHz, 5.3kg weight, price 197.34€ VAT inc.
HS7: 6.5" woofer, 95W (60+35) of power, frequency response from 50Hz to 28kHz, 8.2kg weight, price 233.22€ VAT inc.
HS8: 8" woofer, 120W (75+45) of power, frequency response from 42Hz to 28kHz, 10.2kg weight, price 328.90€ VAT inc.
HS8S: 8" woofer, 150W of power, frequency response from 30Hz to 180Hz, 12.5kg weight, price 538.20€ VAT inc.
More information soon on usa.yamaha.com. [Musikmesse] Allen & Heath unveils the Qu-16 mixer Allen & Heath will debut tomorrow at Musikmesse the Qu-16 rackable digital mixing console. [Musikmesse] A static large diaphragm mic for 99€? sE Electronics unveils on its booth at Musikmesse the Magneto static microphone with large diaphragm, with a price of 99€! [Musikmesse] SSL launches the Sigma summing mixer SSL will debut tomorrow at Musikmesse the new Sigma analogue summing mixer remote controlled by a DAW, available in a 2U rack format.